The Ministry of Education, Youth Affairs and Sports recognises with regret the unfortunate passing of Margaret Annie Dyer-Howe, former Minister of Education Health and Welfare on 7 April 2019. 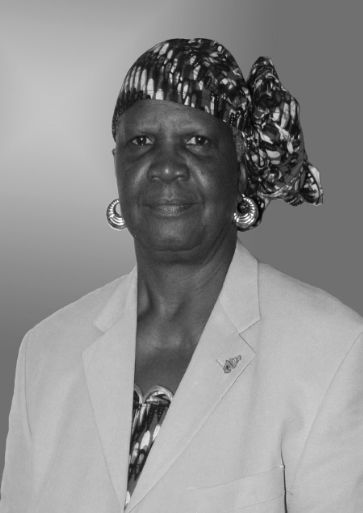 Before entering the Montserrat Legislative Council, representing the constituency of Southern in 1979, thereby succeeding her former husband, Annie Dyer as she was better known as then, had already distinguished herself in civil society. the Social League of Catholic Women (later Social League) which attracted the financial support of UNICEF for providing teenage mothers with academic, social and vocational skills. A strong champion of Women’s Rights, she had the rare distinction of being drafted into the planning committee of non-government organisation (NGO) activities in the 1985 World Conference of the United Nations Decade of Women. Mrs. Margaret Howe was a member of Council for some 13 years, five of which, she served as a very productive Minister. Among her accomplishments, she piloted Bills through Council to create the St. Patrick’s Day national holiday and to provide universal access to secondary education in 1984 and 1986, respectively. Also of note, she supported the granting of the franchise to 18 -year olds as “a very progressive and democratic move”. In accord with her interest in women’s rights, she established a Women’s Desk in her Ministry. This was a creative move. The late Dyer-Howe’s achievements in central governance should not be allowed to over shadow her exploits outside parliament. As administrator in the Montserrat Water authority, she was outstanding; and a successful entrepreneur herself, she started the small business association in 2003. Additionally, Mrs. Dyer-Howe was a scholar in her own right; she holds Bachelor’s and Master’s degrees from Bradford and the UWI, and had research interest in Climate Change. No one can reasonably deny the iconic and heroic stature of this Montserratian who has achieved so much, she was not just a great Montserratian woman and indeed a great Caribbean woman, but a great champion of the human cause. Her recent decoration with the Order of Excellence was overdue and supremely justified. My Ministry applauds her enormous national contribution and offers sincere sympathy to her husband and partner Mr. Robert Howe and all her family members and close associates.